$5000. 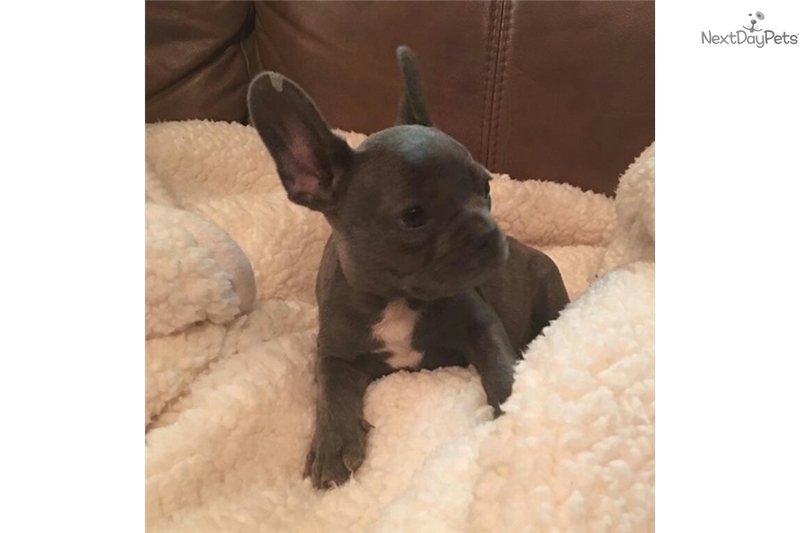 MINI BLUE FRENCHIE, Female, Blue Eyed Blue! 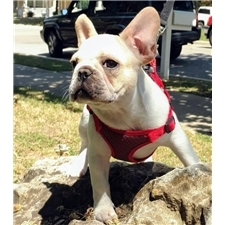 MINI BLUE FRENCHIE, Female, Blue Eyed Blue,French Bulldog Puppy.$5000.00 Companion Only.The Dam: Honey Bunn is 14 lbs The Sire: Magnum is 22 Lbs of Cobby body, Big Blocky Head and Ears you can not miss.Shipping can be arranged with our Traveling PUPPY NANNY. We do have amazing references and only have litters 1 to 2 times per year. MINI BLUE has a 2 yr Health guarantee, current vaccinations, dewormed, paper training and will receive an Exit Vet Exam with Health Certificate and Vaccination Record before going home with approved new parents. Should you have the best of homes to provide and endless time and love for her. Please contact us at 512 567-4501 or Visa, Master Card and Paypal Accepted.